I usually have a couple of Cardinals around my backyard, but lately there are more. 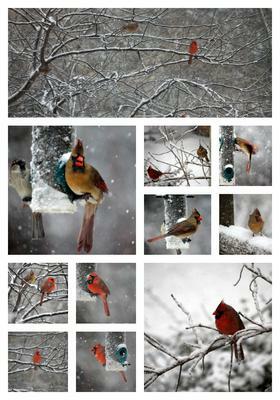 Thanks for sending your picture - Cardinals are so beautiful! I'm sorry it took so long to publish this on our website - we have more sent to us each day than I can publish, so we are getting back-logged, but I'm working on getting caught up!